Circular heavy duty 12″ tall powder coated steel stand with drainage hole for rust resistance. Fits up to 1 1/2 inch pole. 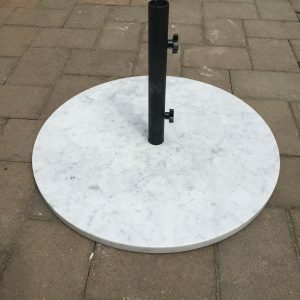 18″ polished Italian marble base weighs 32 lbs. 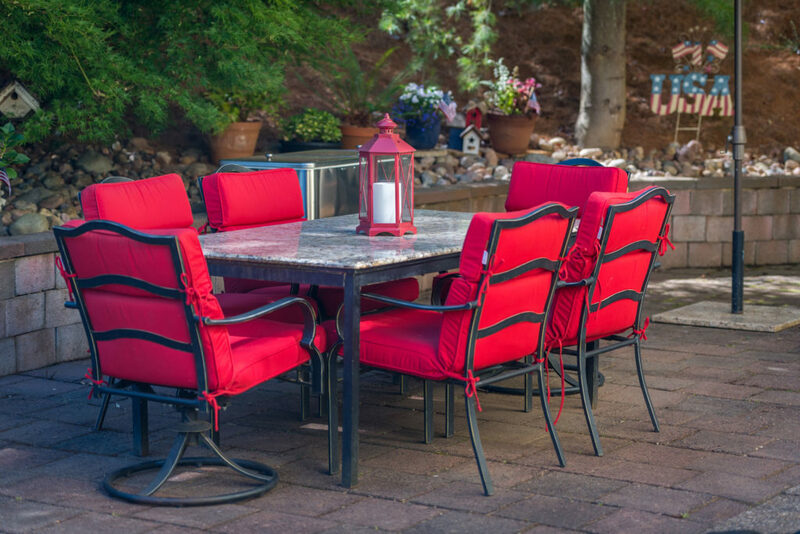 Circular heavy duty 18″ tall powder coated steel stand with drainage hole for rust resistance. Fits up to 1 1/2 inch pole. 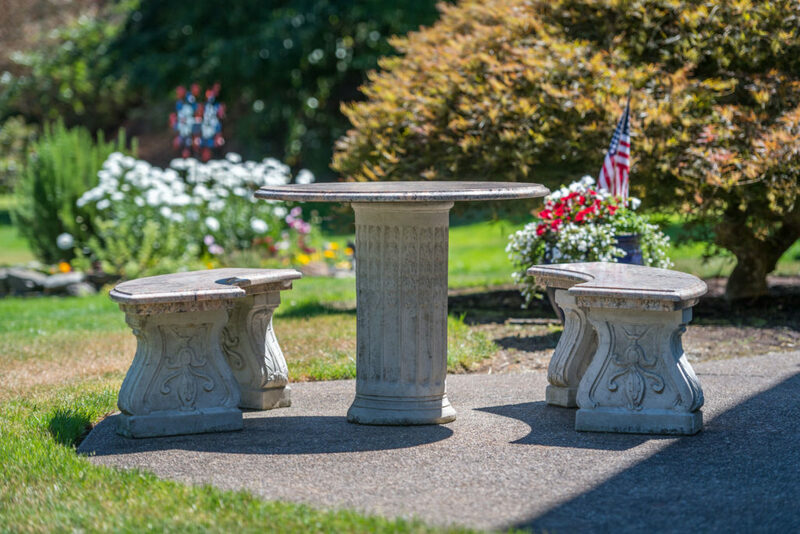 30″ polished Italian marble base weighs 79 lbs. 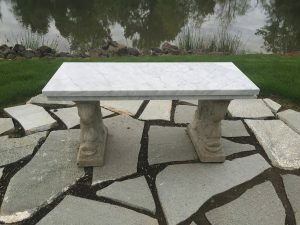 Bench top marble piece is 40″x16″; the bottom marble piece is 39″x15″. Thickness of each marble piece is 1 1/4″. Both the fish and scroll concrete legs are 14.5″ tall 5″ thick and 12″ wide. They are hand crafted in Salem Oregon. Choice of Fish or Scroll Motif Concrete Legs.